Kevin Yagher has been creating some of the most realistic special effects in film for over thirty years. 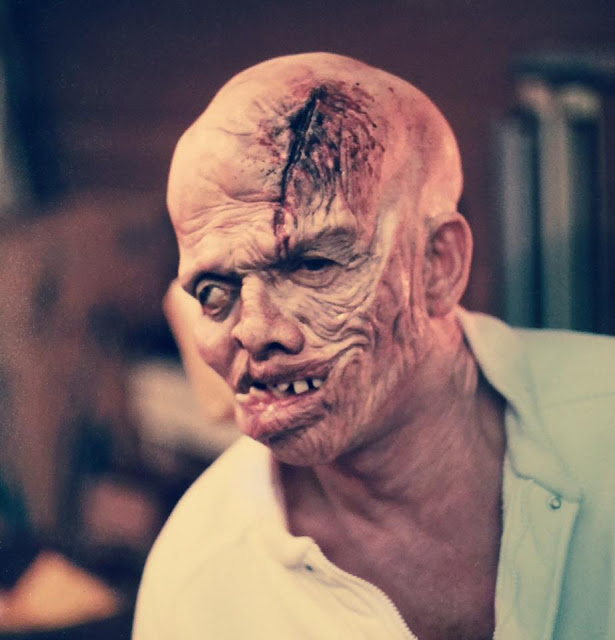 He has worked with a majority of the iconic movie monsters we enjoyed on the big screen, but it was his work on Friday The 13th: The Final Chapter that has captured our attention today. 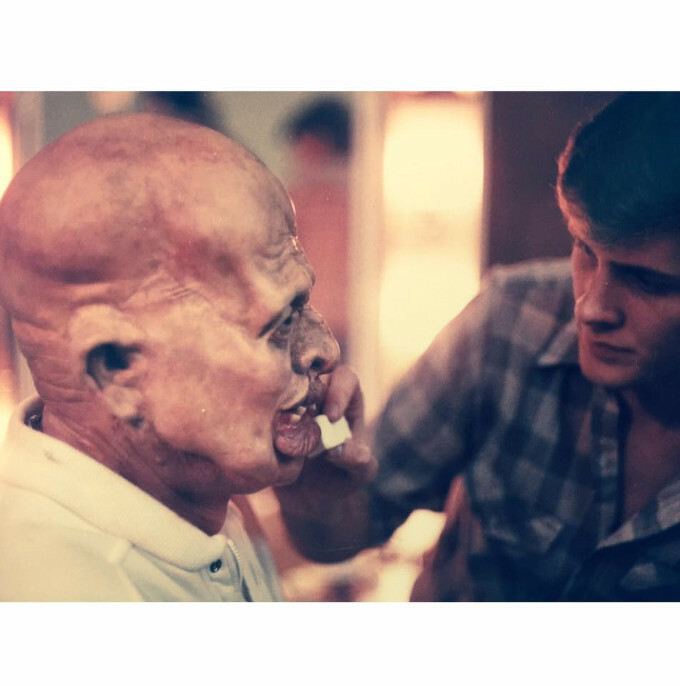 This past Friday The 13th, Kevin posted a number of awesome behind the scenes images on his Instagram account from his work on the production from The Final Chapter. 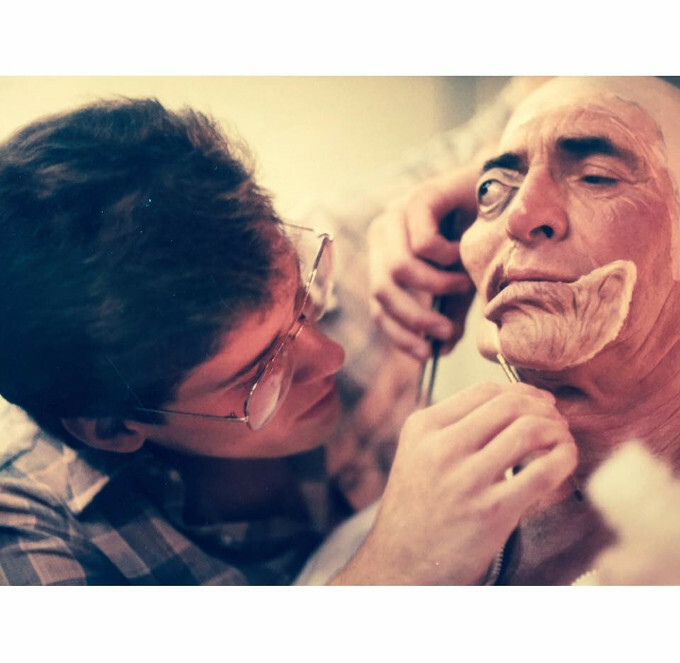 Below you will see some rare photos of Kevin applying make-up to Jason Voorhees actor Ted White. 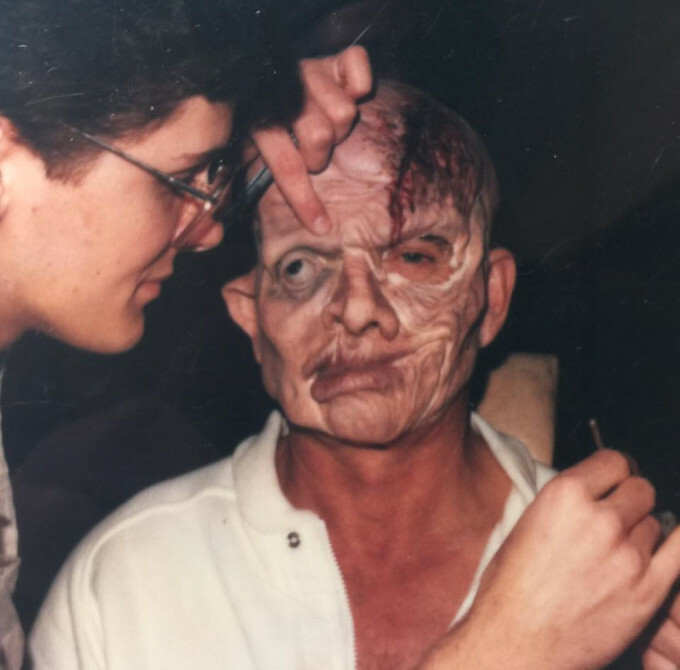 Some of these photos have appeared in old issues of Fangoria, but they haven't circulated on the web too much. 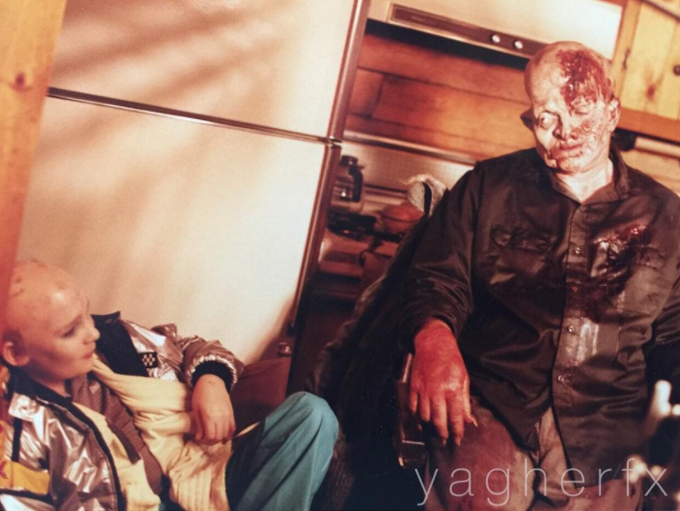 The one photo that has never been seen before is of Corey Feldman and Ted White hanging out together between takes. Knowing the history of the two actors on set from previous interviews, their photo together is even more interesting to witness. These are tremendous images from the production and it would be great to see more of these from various people who worked on the films of the franchise.